Maple trees include a broad spectrum of types, sizes, shapes and foliage. They are evergreen or deciduous, shrubby or lofty, with deeply lobed or finely cut leaves. All types have two-winged seeds that look like wing nuts from the hardware store. Grown over most of the United States. Only excessive heat, dryness or winter cold prevents them from thriving. The large trees provide dense shade, and their roots take water and nutrients from other plants, so do not plant close to them. Water deeply so roots grow down. Insufficient watering will cause leaf scorch. 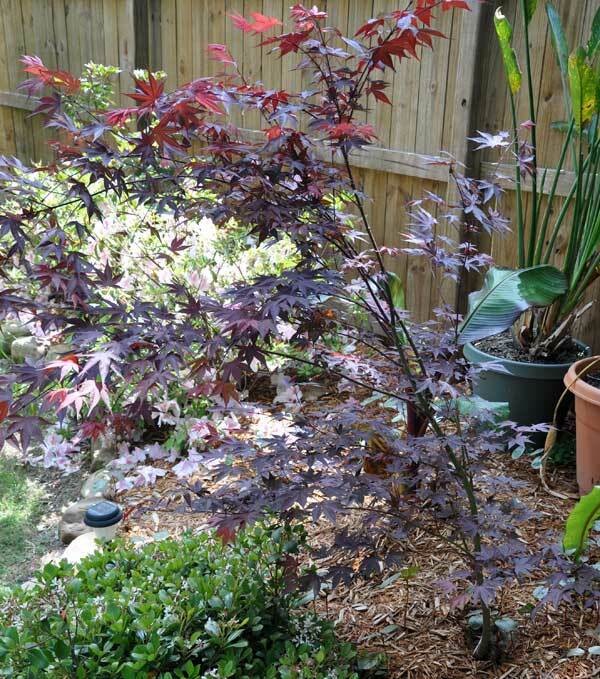 Red, purple, variegated or fancy-leaved varieties need partial shade for best color. Prune in fall. Easy to transplant.